As an official ESEP provider of General Motors Canada since 1994, and approved by many other tier level suppliers, we are experts in detecting and stopping the flow of non-conforming parts. We are able to quickly mobilize our teams in order to minimize disruptions to the production line saving our customers time and money. With 24-hour operations, we are able to complete inspections inside your facility, at your customers location, and/or at our conveniently located warehouse facility. Our team can assemble, pack and ship your product. With our in-house quality experts, you can be assured your product will arrive defect free. Greeley has been the exclusive provider of final vehicle inspection services to General Motors Oshawa since 2004, inspecting over 3 million vehicles. With our customized scanning and reporting technology, our teams have supported General Motors through 4 vehicle launches, becoming experts in batch and hold and yard containment procedures. 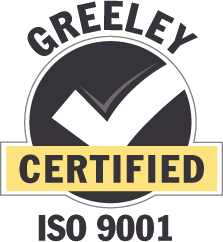 Greeley Containment & Rework Inc is ISO 9001 certified ensuring professional results in all aspects of production, quality, delivery and overall efficiency. Greeley is the preferred rework company with a proven record of quickly and accurately reworking and repairing non-conforming material. Throughout our 20+ years of experience, Greeley has become experts in reworking and repairing all parts. We are the preferred company chosen by General Motors and supplies to rework complex parts, such as wire harnesses. We have the expertise required to complete numerous technical reworks and repairs.